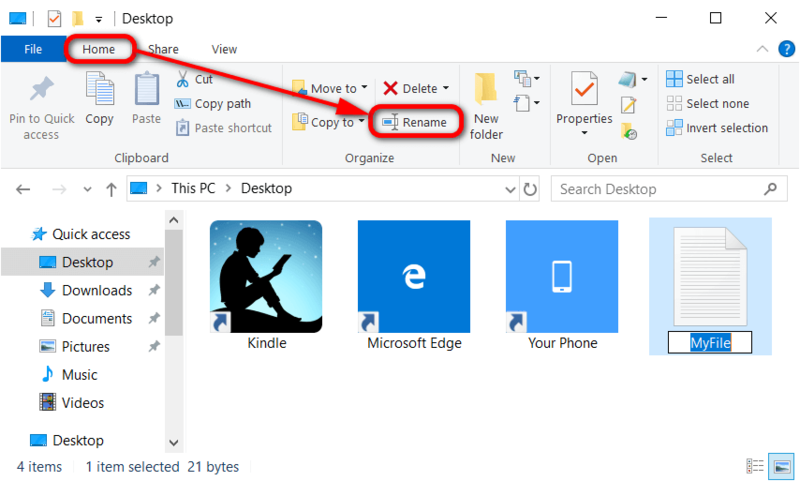 The Windows 10 operating system offers you a variety of ways for you to change the name of a file: keyboard shortcuts, Properties dialogs, context menus, File Explorer ribbons, and even the command line and Windows PowerShell as well. If you rename multiple folders at once, the second folder keeps the same name as the first folder but will have a (2) at the end, so you can see it’s the second file with that same name. Don’t change the file extension when you’re changing the file name (i.e., .txt) or it breaks the file, and the file can’t be used again until the extension name is changed back again. You can’t use any special characters for the file name: \ / : * ? ” < > | are all out of the question. 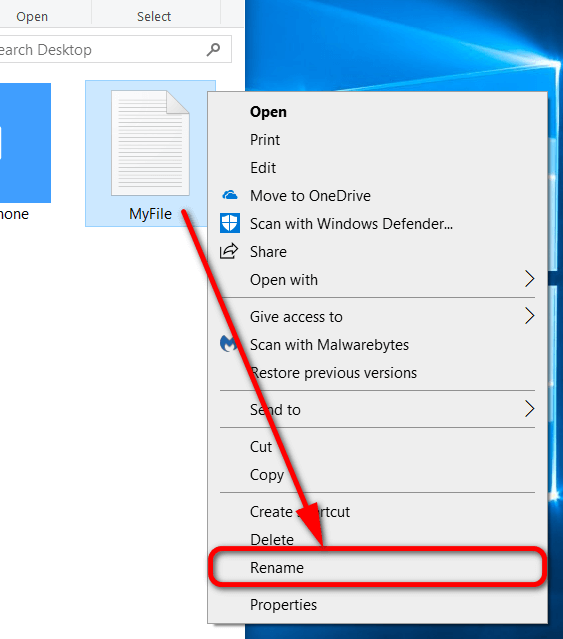 This tutorial demonstrates how to change the name of a file when you’re using a version of the Windows 10 operating system. 1. 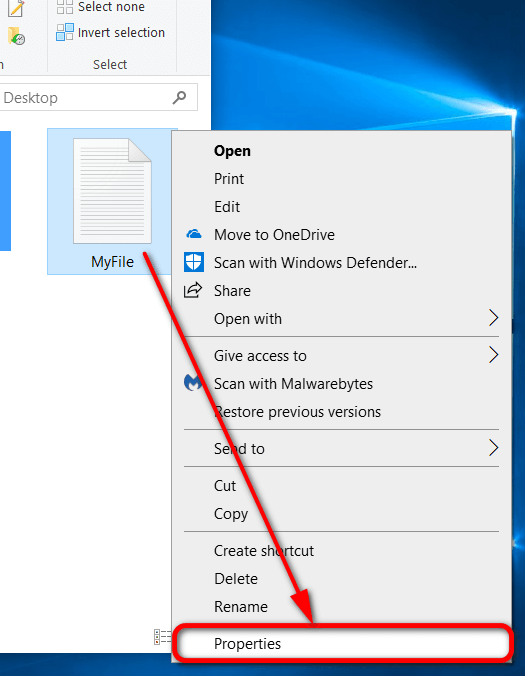 With the desktop or File Explorer open, highlight the file you want to rename by clicking on it once. 2. Press the “F2” key on your keyboard. 3. You’ll now see the name of the file has opened up where you can type in the new name. 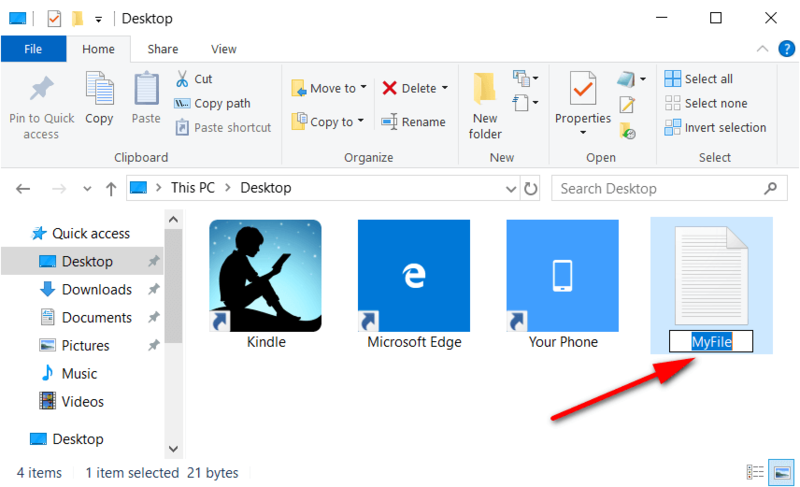 You can now close the File Explorer window. 1. Open the File Explore window. 2. Highlight the file you want to change the name of by clicking on it once. 4. You’ll now see the name of the file has opened up where you can type in the new name. 1. Open the File Explorer window. 3. 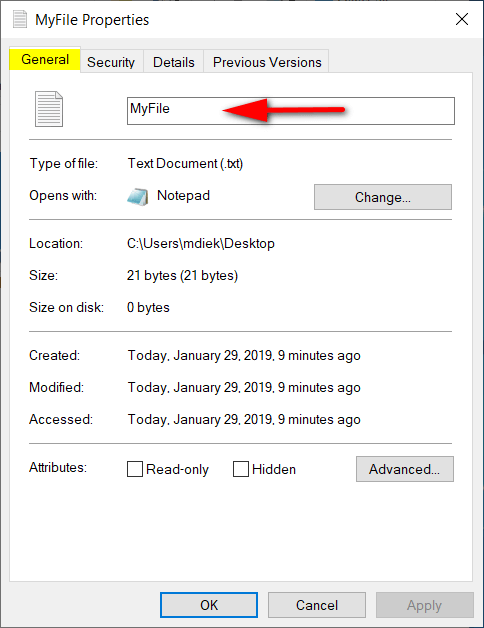 Right-click anywhere within the highlighted area of the file and then click on “Rename” from the context menu. 2. Right-click anywhere within the highlighted area of the file and then click on “Properties” from the context menu. 3. Under the General tab, enter the new name of the file where it shows you the current name and the available field to change it. 4. Click on the “OK” button to save the changes and close the file’s Properties dialog. 2. From the Command Prompt window, type the following command: ren "path of file" "new name"
Note: Change where it says “path of file” for the real full path of the file. Also, change where it says “new name” for the new name that you want the file to have. Microsoft always automatically syncs my files to OneDrive, even when I feel as though I don’t read any option to allow this. I usually take it slow during the setup process and can recall choosing whether or not I would like location services turned on et cetera. From experience every time I upload a picture to a Google account they always want me to store it there probably so they can get views for it or benefit from it in some way in the future. I’m sure it’s no coincidence that it’s always a maze trying to work out how you delete that pile of pictures you apparently shared on public from your accounts. The same feelings apply to this OneDrive picture uploads. Just because I take a picture of my balding head doesn’t mean I want to upload the picture automatically to the internet for everyone to see how my hair is going. I don’t even upload these pictures anywhere. They just sync directly from my phone. I assume I can adjust these settings from within OneDrive itself, but I cannot get into my account because I get an error message. OneDrive still continues to have no problem getting my pictures upload to my account though. How can I troubleshoot OneDrive and change my OneDrive sync settings?